We look at how the fat-tailed dwarf lemur could hold the secret to human hibernation, and whether that could be the key to deep-space travel. A group of U.S. scientists are exploring whether the genes of the fat-tailed dwarf lemur of Madagascar could hold the key to human hibernation. 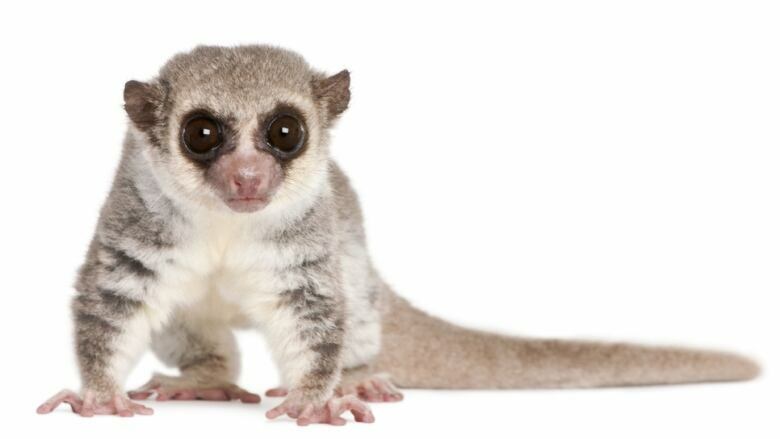 "What the dwarf lemur does is basically suspend the metabolic regulation of body temperature," Peter Klopfer explained to The Current's Anna Maria Tremonti. "It becomes like a snake or a lizard — cold-blooded." The dwarf lemur will go into torpor for six to seven months of the year, he added, noting it's the only primate known to have this capability. Klopfer is professor emeritus of biology at Duke University in Durham, N.C., where he runs the Duke Lemur Center. The research facility is home to the only captive colony of fat-tailed dwarf lemurs in the world. Klopfer and his colleagues are studying what they believe to be the seven major genes that allow the fat-tailed dwarf lemurs to enter torpor state. He says these same genes are in humans. His team's research has been noticed by other scientists, who theorize there could be applications in the field of health, as well as helping our bodies cope better with space travel. John Bradford, president and chief operating officer of SpaceWorks Enterprises, Inc. (SEI) in Atlanta. Dave Williams, retired Canadian astronaut. Peter Klopfer, professor emeritus of biology at Duke University.